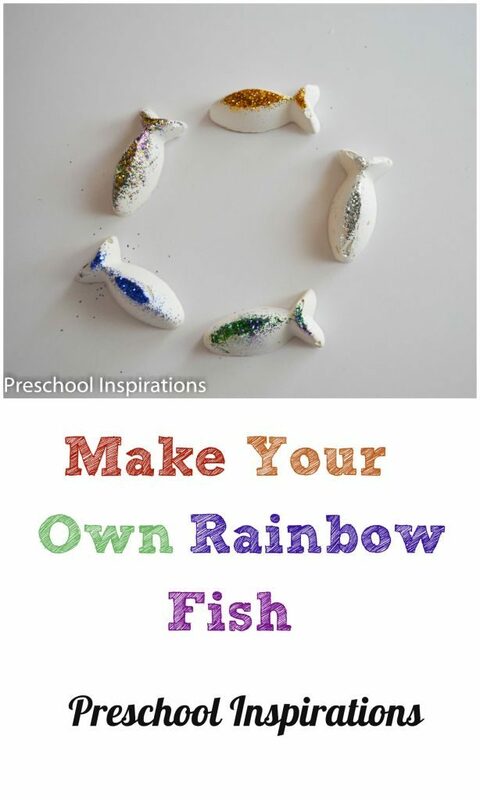 We love rainbow activities around here, and especially great rainbow books! One of our all time favorite stories is The Rainbow Fish. 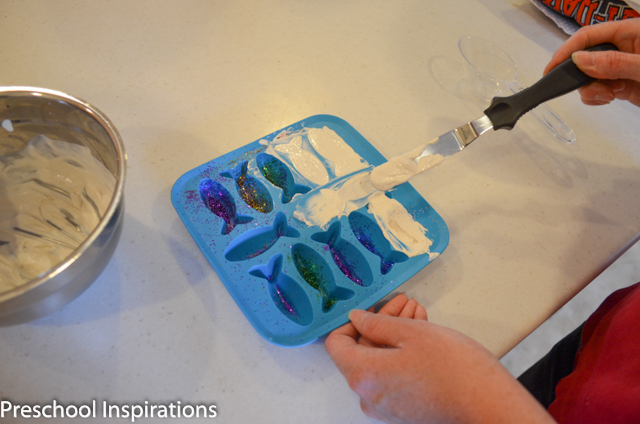 It became the inspiration behind a project we did where we made our own rainbow fish. 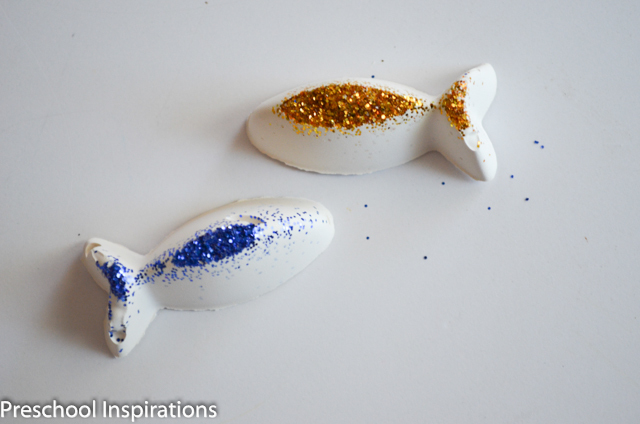 I just loved the idea of making a glittery and durable fish with my preschoolers. Here’s how they turned out! They are ohhhh so nice and glittery, just the way I like it! 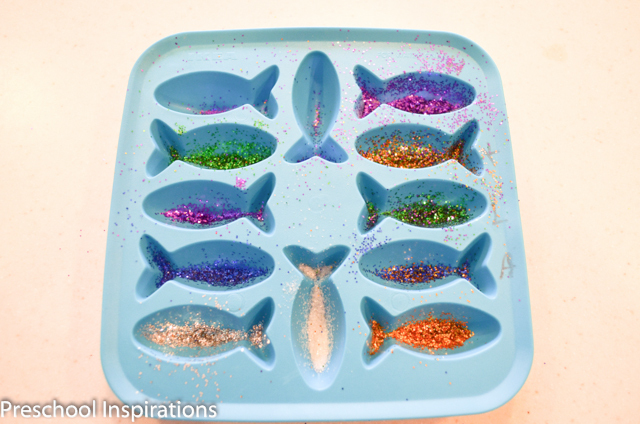 First, have the kiddos sprinkle glitter all along the molds. The higher up along the fish cutout, the more glittery it will be. I wrote initials with a dry-erase marker next to the fish to keep track of which child glittered that particular fish. Next, add the Plaster of Paris, according to the instructions on the container. Make this process quick so that the Plaster of Paris doesn’t start drying too soon. In an activity like this one, if you can’t make the perfect consistency, go for being too runny instead of too thick. The smoother you make it, the better! After these have finished drying, pop them out, and presto! These have been dropped time after time, and they are sill holding up great! 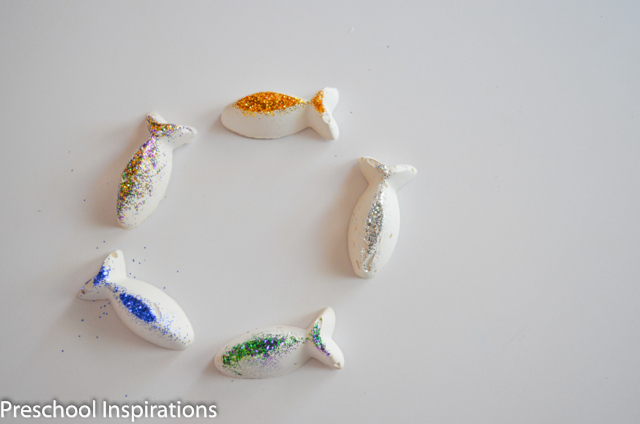 If you enjoyed this post, you would probably also enjoy my DIY Sea Stars activity too. 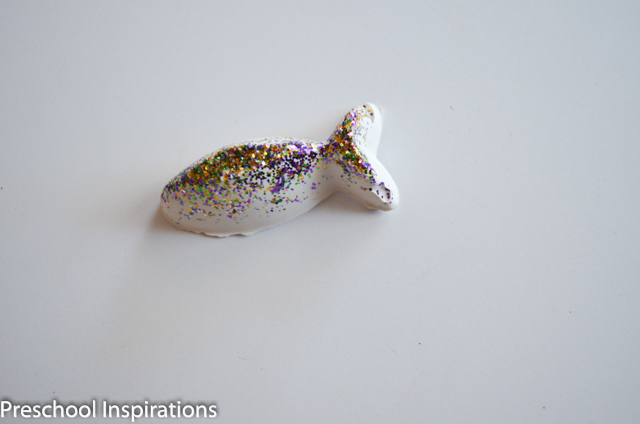 Please keep in mind that glitter requires close adult supervision, and children need to avoid contact with their eyes while crafting with glitter. There is glitter that is deemed safe which is made from plastic, although I have never personally used it or tried it with this particular project.